This app is for pumping mummies who insist on breast milk feedings for babies. 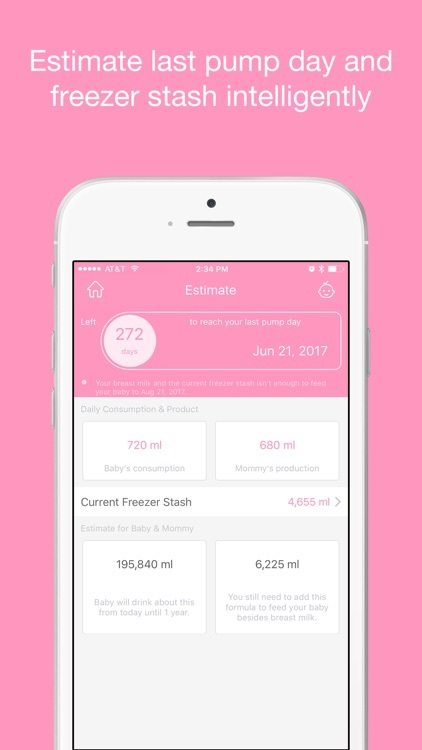 You can time the pumping, track the time, duration and amount of each pump, monitor the freezer stash and estimate the days to reach your goal. It’s easy and effective to help you stress relief on ‘When did I pump last time?’, ‘When should I pump next time?’, ‘How much did I produce recent days?’ and ‘When can I stop pumping?’ these staffs. 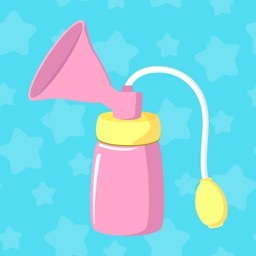 ⁃ Add pumping log manually. ⁃ Track how much produced and how long pumped for each log. ⁃ Track pumping times and total volume for each day. 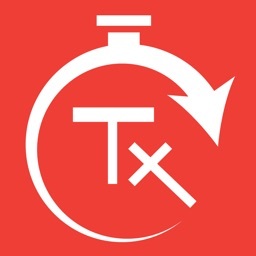 ⁃ Track time and duration of each pump. ⁃ Monitor current freeze stash. 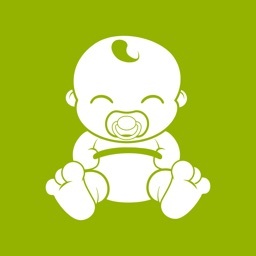 ⁃ Custom baby’s consumption in different age group and weaning time. 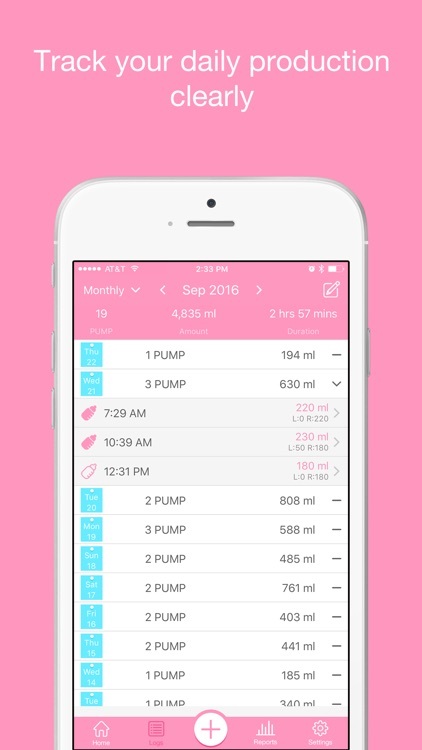 ⁃ Estimate days and date that you can drop pumping. 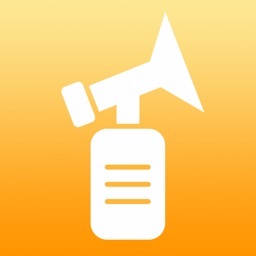 ⁃ Custom reminders to alert pumping. ⁃ Report for daily freezer stash. ⁃ Report for daily pumping volume. 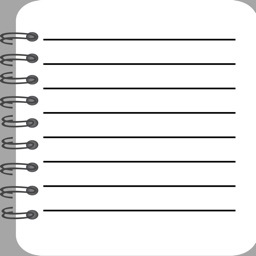 ⁃ Export logs by email in format of PDF, CSV or HTML. ⁃ Dropbox backup and restore.